This will be the first meet up for those who wish to discuss an alternative way to lead where employees are given initiative and responsibility. 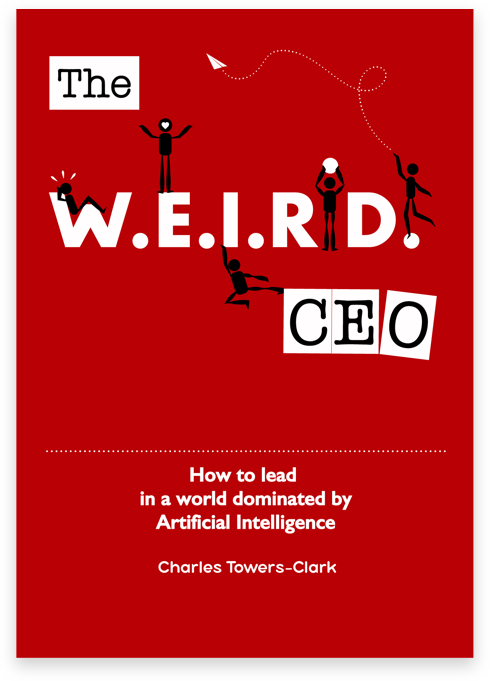 The discussion will be starting around the concepts explained in The WEIRD CEO (available on . . .
How will robots transform the digital workplace? “[Robots] are, and will continue to, have a huge impact on manual jobs and create huge efficiencies for companies,” says Charles Towers-Clark, Group CEO of Pod Group. “Anything that can be put into a process can be automated. Anything that . . .
Part One: Why Are Experian, The UK Government And OpenReach Using RPA? Compared to AI, IoT, Blockchain and 3D printing, Robotic Process Automation (RPA) has not grabbed the headlines in the same way. This may lead to a lack of understanding about what RPA is, but the market is growing around the . . .
What is your mental health strategy? “Mental health…is not a destination, but a process. It’s about how you drive, not where you’re going.” Noam Shpancer. Have you already experienced a strong feeling of anger? or excessive fear or worries? or confused thinking? Maybe you forgot to . . .
‘I think, therefore I am.’ ‘I google, therefore I think.’ Not sure that Descartes would agree with this. Search engines are not as omniscient as many people may think – as anything powered by AI is limited by the statistical . . . Automation technologies – AI, IoT, 3D printing and more – are making their presence felt in industry. Some pessimistic estimates state that 30% of all jobs are at potential risk of automation by the mid-2030s, but automation technologies are widely seen . . . The future of the automotive industry is open. As new technology enters the market, like sensor technology, mixed reality and 3D printing, contenders from all manner of industries are bringing different thinking to the boardroom as well as the R&D . . .